When operating in a multi-dimensional, multi-national business reality companies need to optimise costs effectively to remain competitive. 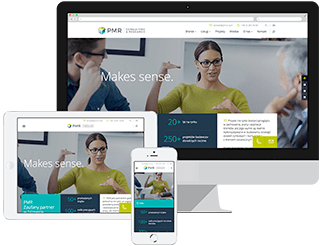 PMR Consulting can help you to effectively review your cost base structure and identify areas where you can save money. Without that it is not possible for the modern enterprise to survive. Has my cost base been designed optimally and is it aligned to my objectives? Can we increase product profitability by optimising costs? Is it possible to manufacture my products in a more cost-effective location? PMR Consulting provides advisory services to clients interested in sourcing products or services in the CEE, SEE or CIS regions. Our range of consulting services includes general market intelligence, reviewing cost base structure, identifying areas where costs are excessive, and drafting new sourcing strategies. Our in-depth knowledge of the local markets – including costs, capabilities, key market players and business environment – enables our clients to benefit from the global perspective needed to make strategic decisions. PMR Consulting provides you with an intimate understanding of local markets and a comprehensive view of the sourcing options available to you. This enables you to outsource parts of your cost base in order to achieve cost reductions, increase profitability and improve returns on investment.